How many times have you wanted to escape your everyday life and just 'sail away' on holiday? Now it's your opportunity to do so. Find your accommodation in magnificent villas and hotels and wake up in Opatija. Breathe in the wonderful scents of the Mediterranean while sipping your first morning coffee on one of our fantastic terraces with a sea view. Take a stroll along the famous Lungomare promenade and discover the interesting story of the Girl with a Seagull, one of the symbols of Opatija. Experience the elegant atmosphere of Opatija and see for yourself why this town is called the Queen of Tourism. A popular destination among many tourists from Europe and all over the world, Opatija can now become your favourite location for a summer holiday too. Wonderful moments in the sun by crystal clear sea with a cocktail in your hand and the scent of sunscreen in the air – this is an experience that you'll gladly share with your friends after returning home from your holiday. Take great selfies to remind yourself of a destination to which you'll gladly return. The most important things in life are the journeys and memories that you carry with you. 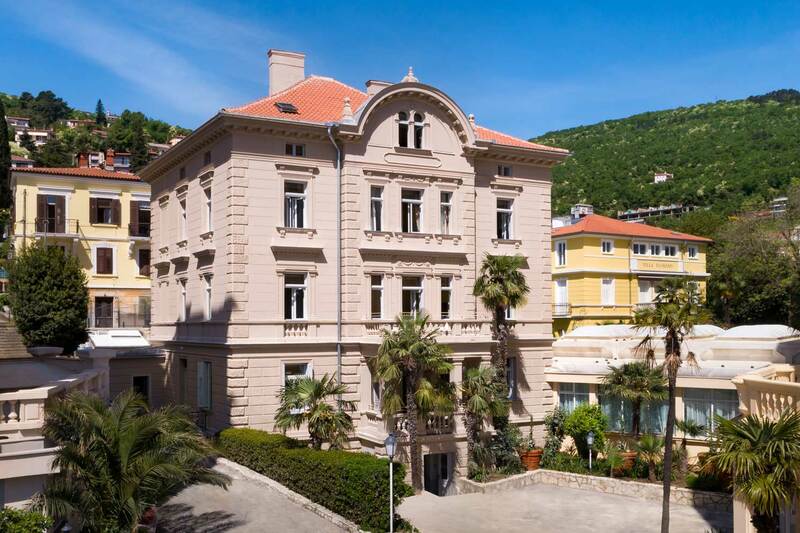 Make this holiday truly unforgettable and create your own summer story in the heart of Opatija.